The Fessor Cargo-class Multipurpose Ship can be altered with a moment’s notice to fit the mission. Whether you’re making a heavy short-ranged cargo run or a light multi-jump trip, providing medical assistance to remote locations, doing some asteroid mining to turn a profit, or taking on additional passengers, this ship can change its configuration every time it leaves the spaceport. If you never know what kind of day you are going to have, this is the ship you need. Now your Travellers can upgrade their game in the Original Traveller Universe beyond the Imperial borders. 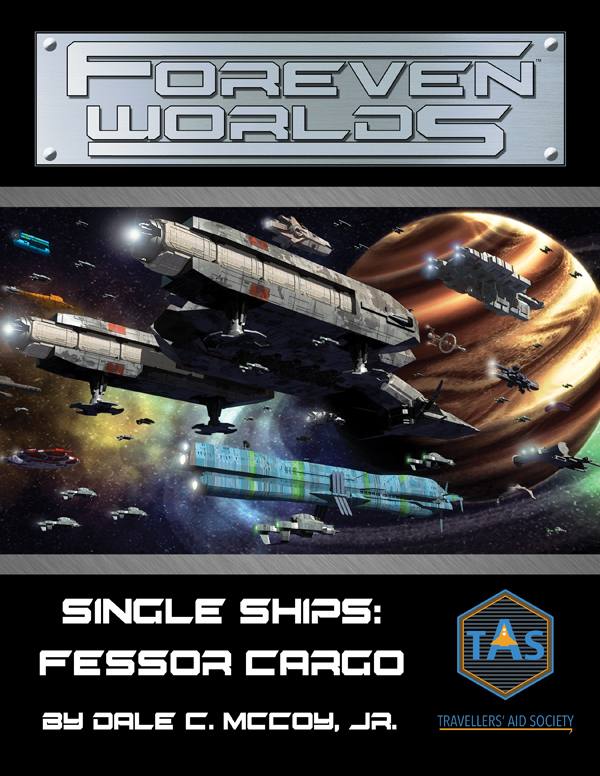 In the Foreven Worlds, no two days ever go the same way—so grab a ship that is as adaptable as you are!